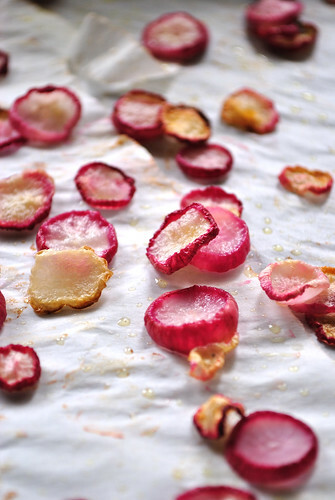 These gorgeous gems need no words so I will simply leave you with photos of vibrant farmer's market radishes and their transformation into tiny, crispy chips. 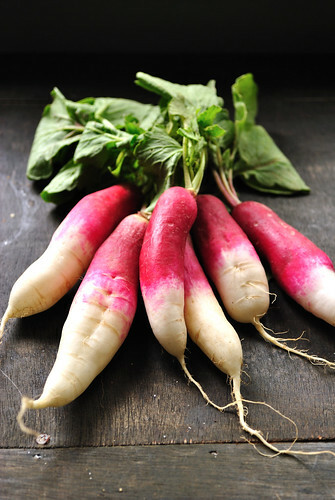 Yield: depends on how many radishes are used. 2. 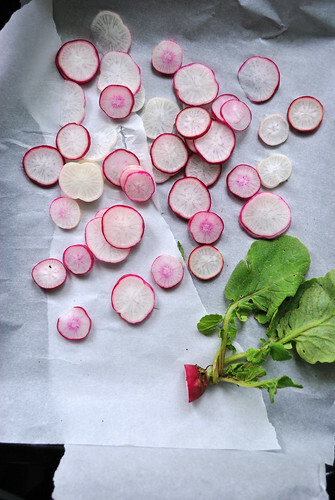 Thinly slice radishes - you can use a mandolin if you wish, but I managed to do it by hand. 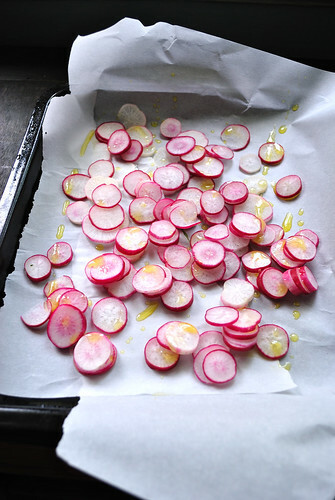 Place thinly sliced radishes on a parchment lined baking sheet with olive oil and sea salt. 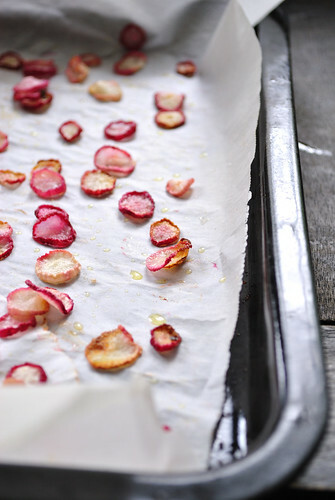 Gently toss to coat. 3. 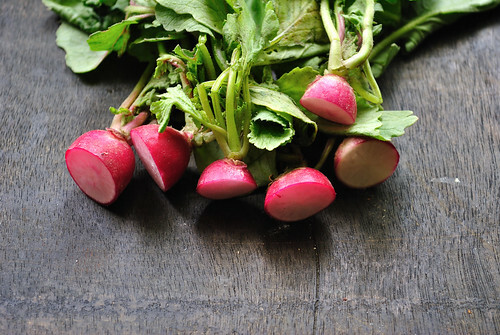 Bake at 350F for 15-20 minutes. 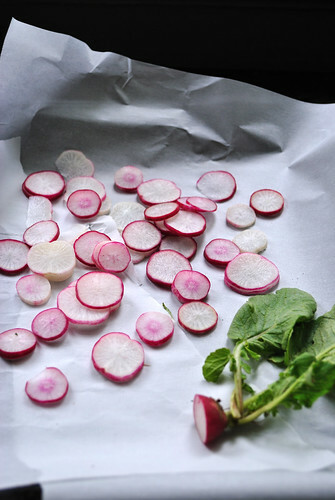 Flip radishes, bake for another 5 minutes and then lower heat to 225F and continue to bake for 15-20 minutes until they are crispy and shriveled.